Love it! Each time I see one that close it is actually tempting to run to the end, just in case that pot is there..hehe. Old childhood dream. “Chasing rainbows.” I once chased (on foot) a rainbow several miles across a field to see if I could find its end. I did. And when I found it I stood in the colors, awed like a child, as they washed across my white t-shirt and over my skin. It was magical to stand at the end of a rainbow. Of course it is classic, but it is always nice, peaceful, and a symbol of hope. Thank you ! 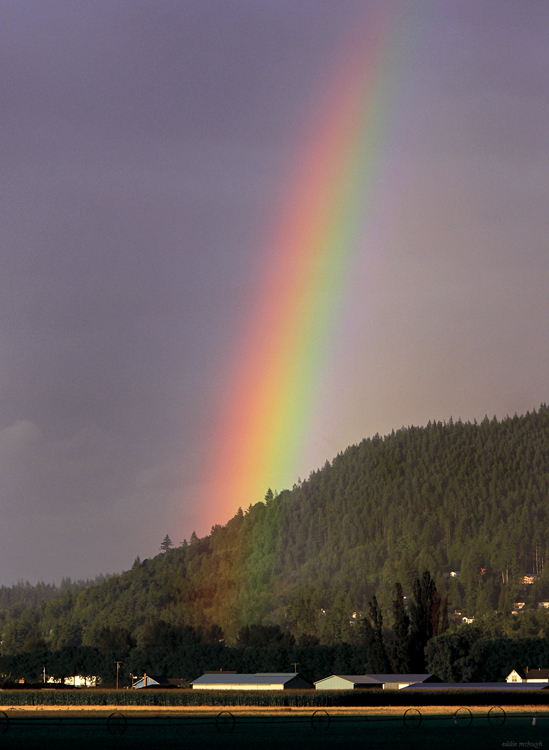 What an amazing capture of a gorgeous rainbow…wonderful!